Have a habit of tossing and turning at night or waking up and feeling like you haven’t really slept? See why it’s important to know your Sleep IQ. Sleep and I have been frenemies for pretty much my entire adult life. I love sleep and often look forward to sleeping in a bit on the weekends, especially beacuse I tend to be a night owl. I seem to go through cycles of sleeping well and then waking up what feels like 100 times a night and everything in between. I’ve often wanted to know why, but never knew of a way to track it on a regular basis. These days we have easy ways to track other essential parts of our lifestyle like activity and diet, but why not sleep? Thankfully, Sleep Number has finally come up with a solution that I recently got to learn about at a trip to our local Sleep Number store. If you’ve never been to a Sleep Number store, it’s actually a pretty cool experience. You can try a variety of mattresses with different features like memory foam or pillow top with adjustable head, feet, both or none and what type of pillow you find most comfortable. Then there is your Sleep Number to discover how firm you like your mattress. I really appreciated how patient Lynn at our Patrick Henry Mall location was to answer our different questions and find out what worked and felt best for both Mr. Savvy and myself and for not kicking us out with all of Mr. Savvy’s jokes. 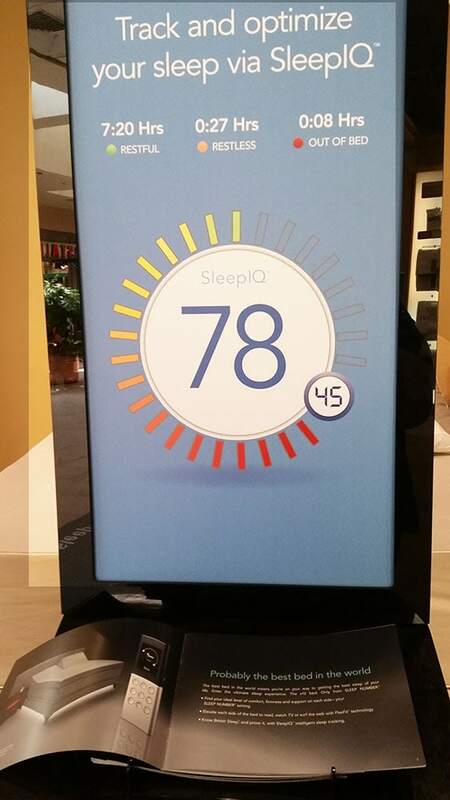 ;) What is Sleep Number® SleepIQ®? The SleepIQ® technology is designed to allow you to track not only how long you sleep, but also your quality of sleep so that you can make adjustments to get the best sleep possible every night. As you can see, knowing your SleepIQ is an important step to learning more about why you don’t sleep as well as you want. Want to check out Sleep Number yourself? See the Sleep Number store locator to find a location near you! Mr. Savvy looked so comfortable, I thought he was going to fall asleep in the store! Now that you know why it’s important to know your Sleep IQ, what part of your life would be improved from a better night of sleep? I have always heard good things about sleep number beds. Everyone I know who has one just loves theirs. I’m not ready to trade-up my comfortable mattress anytime. However, I have heard that the Sleep Number beds are pretty amazing! I’ve always wanted to try a sleep number bed! Sounds amazing! We hope you’ll stop in and try one soon, Janet! Let us know if we can help a local store in your area you can visit. Sorry to hear that, Jennifer! Come visit us next time you have a chance and we’ll see what we can do to get you sleeping better. I’ve heard a lot of good things about the sleep number beds. I would love to try one out but I think I need to get hubby on board also! I really, REALLY want a Sleep Number bed! I have heard so many great things and your post just confirms them. I ALWAYS wake up sore and I think finding my sleep number could help change that! We think there’s a great chance it could help! Stop in next time you’re in the area and we’ll help you find one that fits your needs. My kids have been sick recently so no one has had a good night’s sleep in some time. I would love to snuggle up and get a good 8 hours. 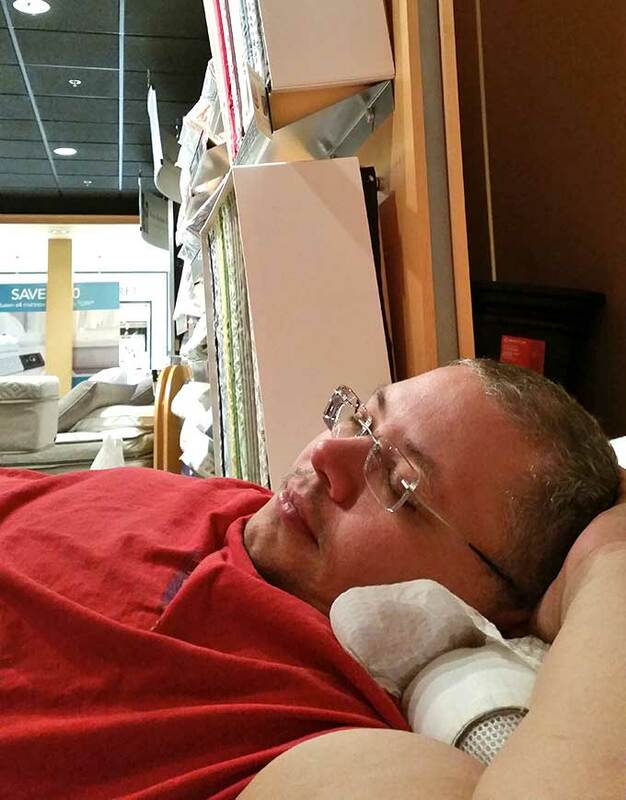 My husband and I have started talking about getting a new mattress and Sleep Number is on the top of our list! We’re glad we made the list, Sara! :-) Have you had a chance to stop in and try our beds out yet? I didn’t know it was so techy and worked with an app. That is totally cool! That truly is amazing that the bed can do all of that! I have been dying to try one of these beds out! Sounds like it could be a good time to drop by your local store, Becky. :-) We hope to see you soon! I have looked into Sleep Number beds. i really think it is what we need since hubby and I don’t agree at all about mattresses. You’re in good company, Cindy. Quite a few of our owners have found they don’t have the same comfort needs as their partners. Being able to adjust both sides to different settings can really come in handy!